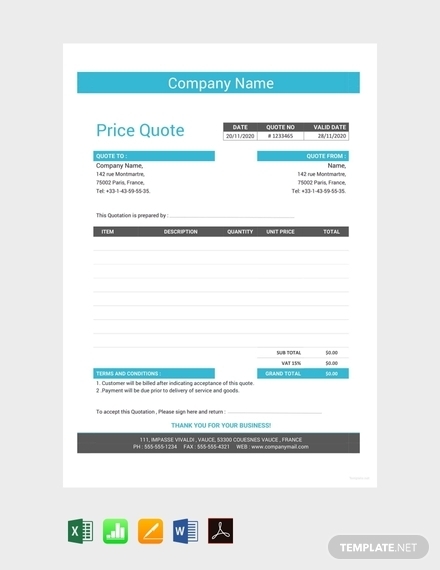 A quotation is simply defined as a piece of document that lists down the cost of goods or services and is presented to the customer before he or she purchases the said good (product, item) or service. 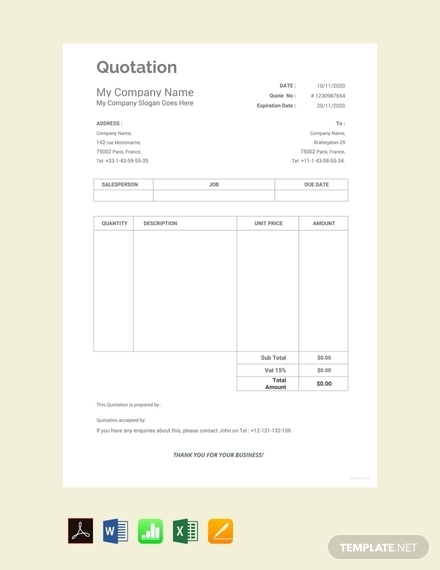 A quotation is created by the seller, usually the sales personnel or authorized sales representative. 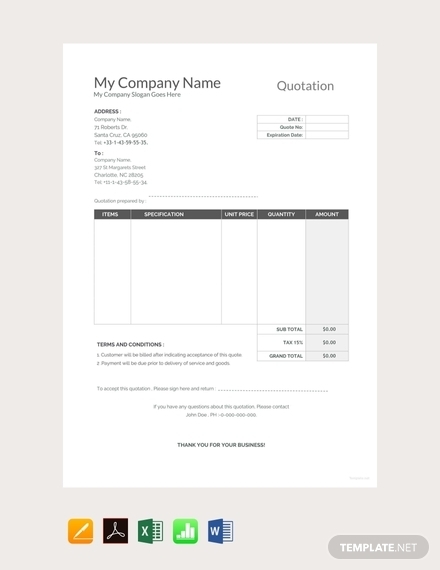 In this article, we will be helping you create a quotation template for your company. 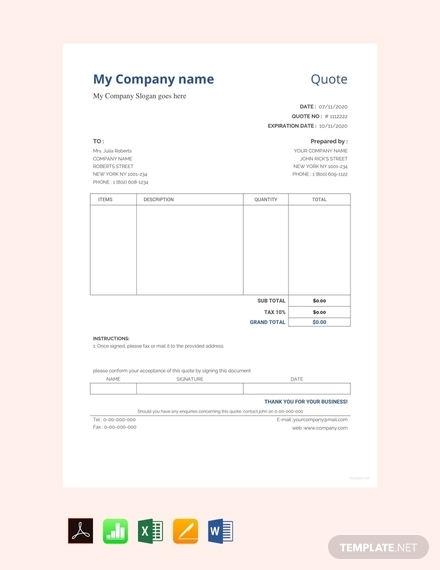 We have provided templates in Google Docs that you can download for free as well as provide you with simple tips in how to create a quotation. Read on below! Listed below are the elements of a good quotation. 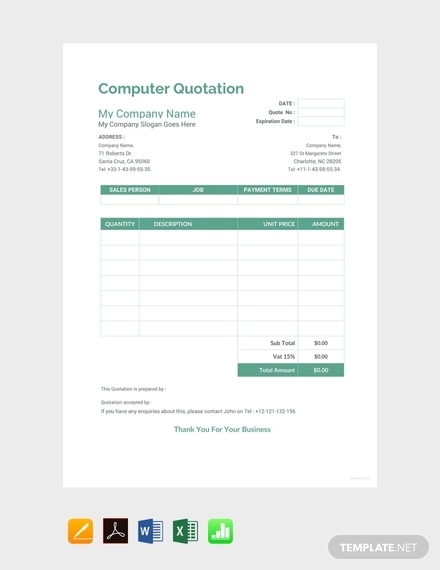 Make sure to include all the elements when you will be creating a quotation. 1. Business information: To bring awareness to potential customers, it is important that you include in your quotation your business name. This would also increase and boost your branding. People would get to know you through this document. You can also include the location of your business as well as your contact details to provide potential clients a way to communicate and keep in touch with you. 2. Salesperson information: In different transactions, you must assign a salesperson who will serve as the point person and in charge of the transaction. The potential customer need not ask anyone from the company in case of queries and clarifications for the salesperson will be the one to answer them all. 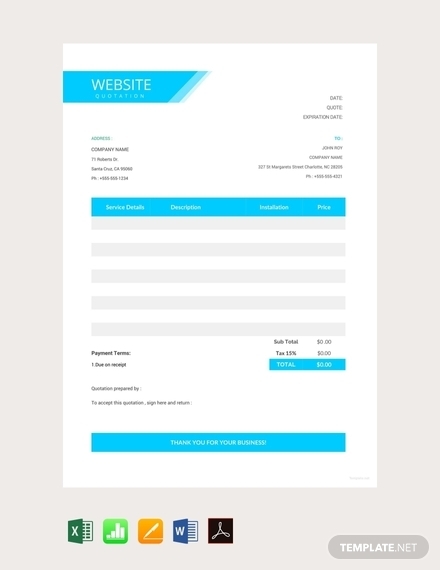 Hence, the name and contact information of the salesperson must be included in the quotation. 3. Validity date: You must also clearly specify the period of validity of the quotation. This is applicable especially to the production of goods where raw materials are required. The cost of the materials may change through time, so there must be a specified period of validity for the quotation. Commonly, 30 days is the validity of a price quotation. 4. Product information: Product information is probably the most important element of a quotation. Obviously, your potential customers will need specifics about your product such as size, color, quantity, item number, and unique product features. Don’t forget your customers can also access these information since it is their right to know product specifics before they purchase the said product. 5. Price per quantity: Similar to the product information, the price of the item is also a very important element in a quotation. This is because customers never want to overpay for a product especially if it is more than one (multiple) product or items. 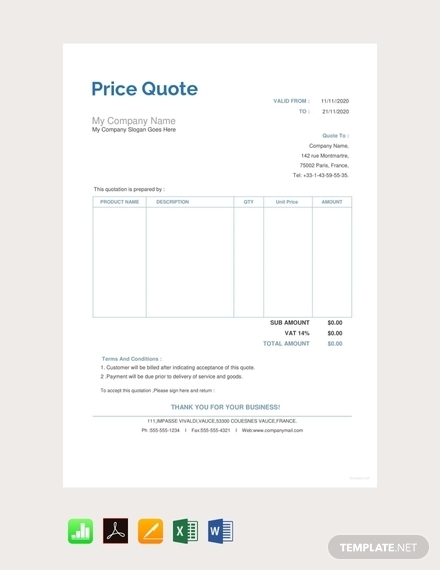 Thus, the price per quantity of the item must be clearly specified in the quotation. If product is discounted and sold at a lower price due to a regular or special promo (i.e. Christmas, Thanksgiving, New Year, etc. ), then it also must be indicated in the quotation. 6. Taxes, fees, and other charges: These days, a purchase is never complete if taxes, fees, and other charges are not included in the computation. 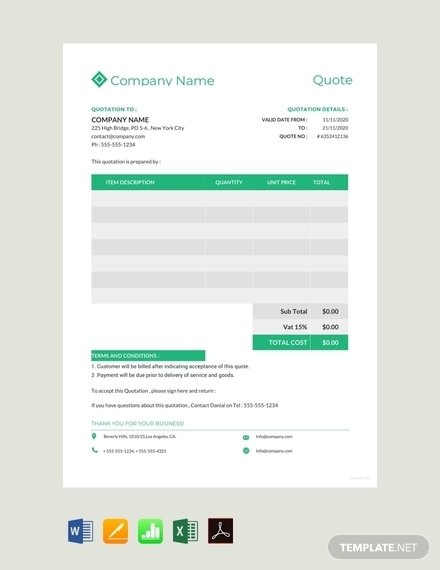 Make sure to include taxes and other fees in your quotation as this is required by law. Tax evasion fines are heavy and non-payment of fines will result to a lengthy prison sentence. Other charges that may arise include shipping and delivery fees, as well as transaction fees which is most of the time shouldered by the buyer. 7. Warranty: Warranty is an oftentimes underrated element when purchasing a product. Customers think they don’t need a warranty, but having a warranty is important when there are issues with the product and it needs fixing or replacing. Normally, a product contains service warranty or replacement warranty over a specified period of time. Warranty should be specified so that the customer will not have to pay anything if there are issues regarding the product, in which it is the manufacturer or company’s fault why a product is broken or defective when it hits store shelves. 8. 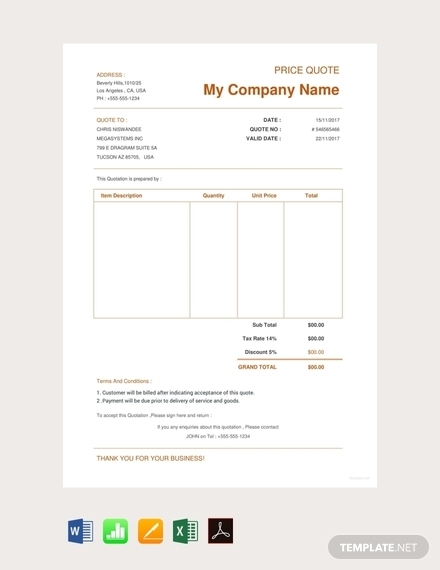 Grand total or sub-total: Customers will also be looking at the total or subtotal of the product or number of products. Subtotal pertains to the amount of goods purchased excluding expenses and other charges. Grand total meanwhile pertains to the total which already includes the expenses, fees, discounts, and other charges. 9. Notes, terms and conditions: The terms and conditions is not a necessary element in a quotation due to its length. Since a quotation only has limited space, you don’t have to include every detail of the terms and conditions. What you can do is create a summary of the terms and conditions in the quotation while listing the actual and more detailed terms and conditions in your website or other online platforms. 10. Signature of authorized individual(s): Last but not the least, one element that is usually forgotten in a quotation is the signature of the authorized individual or individuals. These individuals are usually the ones who took charge in the transaction (i.e. salesman, sales executive, manager, customer service representative, etc.). The signature is one of the elements that makes the quotation a legal document, so make sure a signature is always affixed. Aside from the signature, the authorized individual’s contact details (i.e. 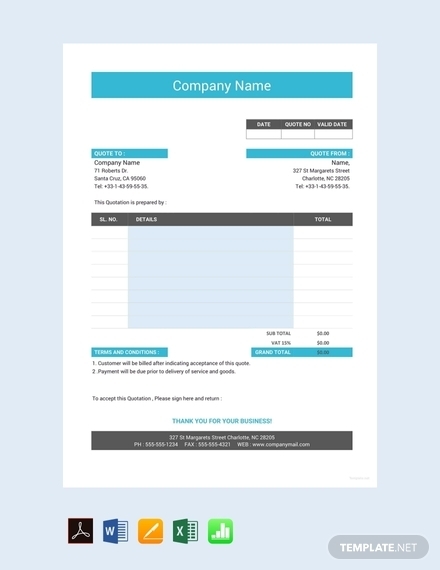 full name, business phone number, business email address) can also be included. Itemize any materials or resources needed to fulfill the services or products. 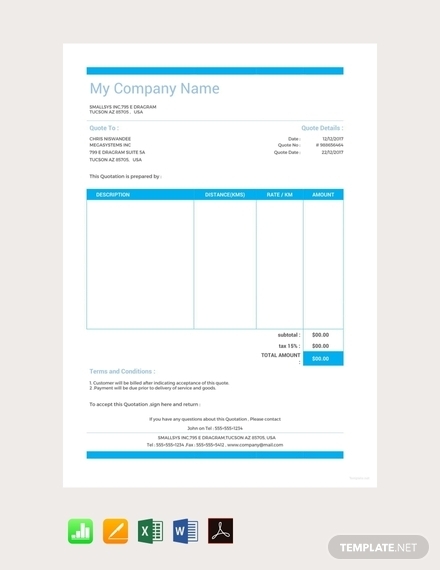 Create a detailed list of the costing as well as taxes and other charges. Have a summary of the terms and conditions in the quotation. You can write the full and detailed terms and conditions and attach them in your company website. *Make sure that you offer competitive prices that will help you win over your competitors. 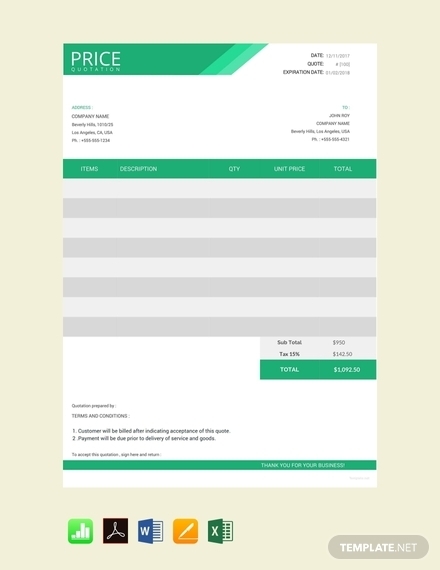 Loco price quotation: Also known as spot price, a loco price quotation relates to the price where the seller keeps the goods in his own until disposal expenses will be shouldered by the buyer. Specifically, the buyer bears all the expenses related to the carrying the goods from the seller’s warehouse. Station price quotation: A station price quotation mostly relates to transfer of goods to a railway station. The responsibility of the seller is to shoulder the expenses in sending the goods to the nearest railway station. Free on rail (FOR) price quotation: Free on rail (FOR) price quotation means that the buyer will shoulder the loading expenses, freight, and unloading expenses. In contrast to the station price quotation, the buyer (not the seller) in the FOR price quotation will shoulder the expenses in carrying the goods to the nearest railway station. Free on board (FOB) price quotation: Free on board (FOB) means that the seller’s responsibility is to deliver the goods and to pay all related delivery expenses on board the ship. The buyer will be the one who shoulders the freight insurance and all subsequent expenses. Cost insurance and freight (CIF) price quotation: In a cost insurance and freight (CIF) price quotation, it pertains to the seller having the responsibility to pay for the cost of insurance and freight for the goods delivered. 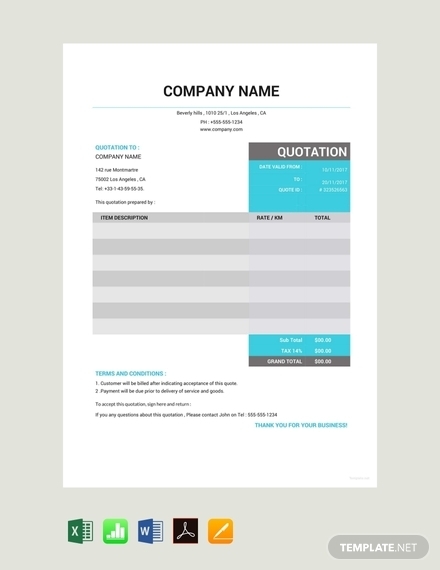 Free alongside ship (FAS) price quotation: The seller in a free alongside ship (FAS) quotation is responsible for paying the expenses from the seller godown to the ship. The buyer will then pay the expenses from the ship loading to the buyer godown. 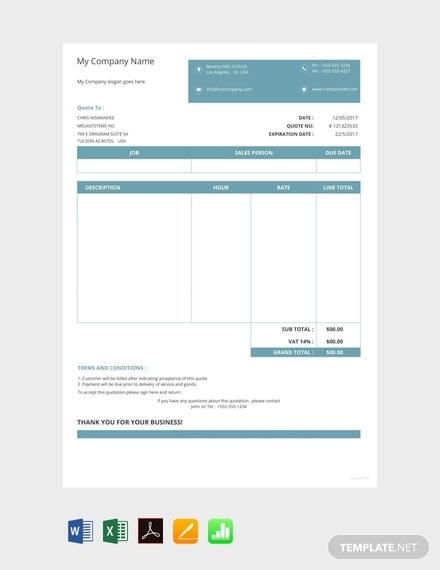 Cash on delivery (COD) price quotation: Cash on delivery (COD) simply means that the buyer pays for the product or item after it has been delivered personally. COD is commonly used when items are shipped from one location to another. 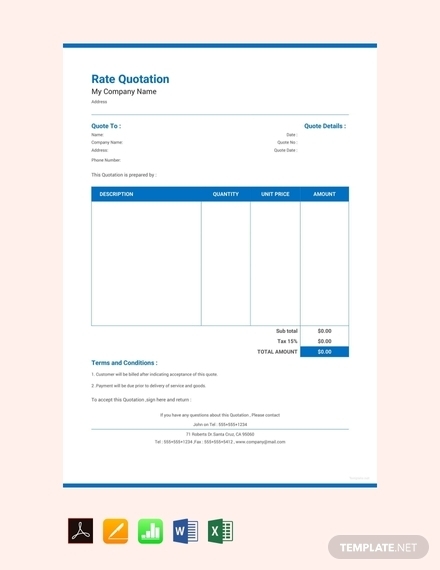 Franco quotation: In a Franco type of quotation, the exporter shoulders all the expenses including landing charges, internal freight costs, and other delivery charges to the buyer’s warehouse.